Comment: I would like to get an estimate for Gazebo in our garden, needs screens to come out and cleaned, and then put back (of course) needs the outside wood power washed and then stained. Would need someone that respects plantings around the gazebo. Gazebo is 100 paces from house, yes we have outside electric plugs. Comment: Gazebo in our garden, needs screens to come out and cleaned, and then put back (of course) needs the outside wood power washed and then stained. Would need someone that respects plantings around the gazebo. Gazebo is 100 paces from house, yes we have outside electric plugs. Comment: Slow leak from the top of window on second floor. Coming from framing not the window itself. Comment: I would like to get an estimate for extending my roof over my porch. I want a carpenter for my project. Comment: I would like some trim work done in our foyer above the two room entrances attached to the foyer. Comment: The counter balances in 2-3 windows are not functioning and need fixed. Valley Forge Restoration Company, Inc.
Parkesburg Carpenters are rated 4.78 out of 5 based on 399 reviews of 22 pros. 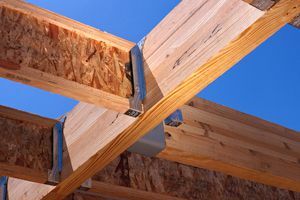 Not Looking for Carpenters Contractors in Parkesburg, PA?